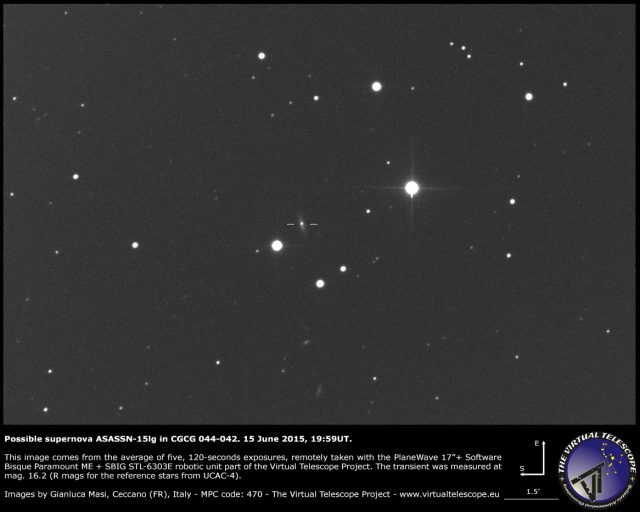 The supernova ASASSN-15lg in CGCG 044-042 was promptly imaged at Virtual Telescope as part of a cooperation with the ASAS-SN survey (ATel 7635). The image above comes from the average of five, 120-seconds exposures, unfiltered, remotely collected with the PlaneWave 17″+Paramount ME+SBIG STL-6303E robotic unit part of the Virtual Telescope Project. The supernova was estimated at mag. 16.2 (R mags for the reference stars from UCAC-4). The source is marked by two small segments. At the imaging time the Sun was only 10 deg. below the western horizon, so the sky was quite bright. 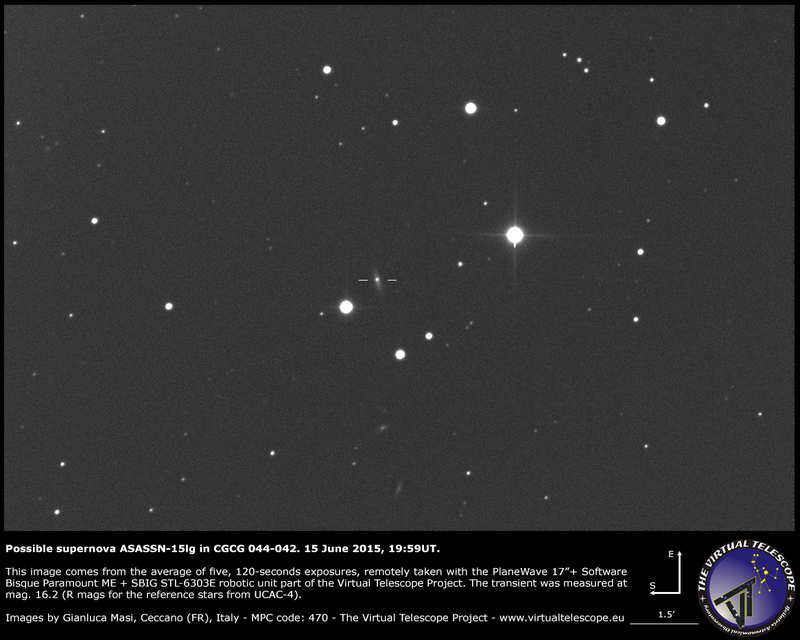 Supernova ASASSN-15lg was confirmed to be a type Ia supernova a few days before its maximum of light.